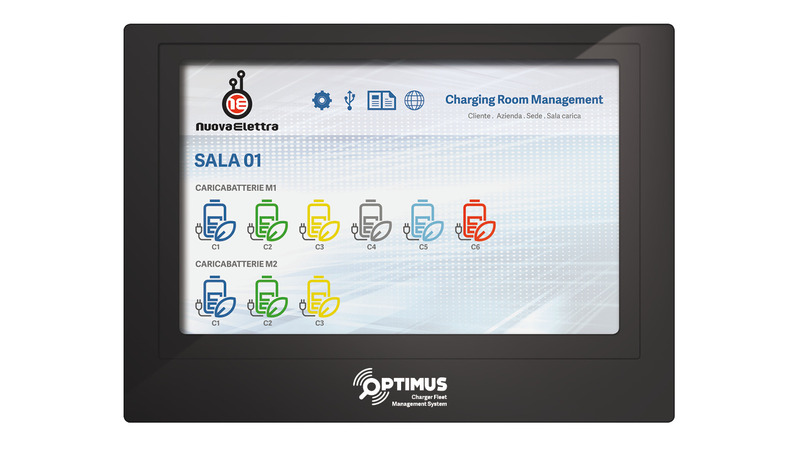 CLOUD BASED SYSTEM FOR THE REMOTE MANAGEMENT OF CHARGER FLEET. Industry 4.0 technologies enable warehousing facilities to adapt to significant changes in their business. As the need for shorter lead times, better quality control, reduced labor costs are increasing, advanced connected technologies are emerging as a solution to achieve these goals : the smart warehouse. Chargers talk to the Touch Screen Control Panel to share information, allowing for advanced analytics and visualizations of real-time data from multiple and remote sources. operational data and making it available in real time anywhere in the world. Access real-time statistics and reports (24/7) from multiple and remote sources (mobile, desktop, browser). Manage your fleet from anywhere in the world. Analyze key information from your mobile : quickly identify critical conditions and areas of concern to facilitate assistance and reduce down-time. Accurate monitoring and diagnostics help to prevent failures. -	Monitor widescreen LCD showing next available battery and status information.